Colorado witnessed a political sea change after the 2018 election. The new political zeitgeist will have profound effects on oil and gas development and production with ripple effects spread throughout the economy. SB181 is moving quickly through the legislature and will among other things reverse state preemption, allow sweeping new authorities for local governments to regulate energy production, and make health and safety the watchword for future development with little regard for economic reasonableness and technical feasibility. The relationships that oil and gas companies have with their local governments will be the stock and trade for getting through their processes in a post 181 world. Jim will provide insights as to what that future may look like. 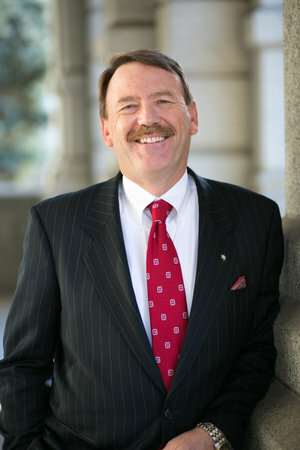 Jim has been lobbying the state legislature for over 30 years and has provided leadership on some of the most difficult public policy issues affecting energy and higher education. He has been involved in lobbying tax reduction issues and redefining the guiding statutes for these policy areas. Prior to joining CLS, Jim was a Management Analyst for the Colorado Division of Parks and Outdoor Recreation. As a result, he is very familiar with the state budgetary process and has the ability to use the budget process to the advantage of his clients. Perhaps Jim’s greatest asset is his ability to think several steps ahead and recognize how amendments to legislation might positively or negatively impact a client. He then recommends steps to promote or counter those effects. Jim has a passion for long-distance bicycling, having completed nine years of Ride the Rockies and other long-distance events, like Iowa's RAGBRAI. Registration has REOPENED due to the date change and will now close Friday April 19th at 5:00PM. If you purchased a ticket for the original date and are unable to make it on the 23rd, please email [email protected] by end of day on April 11th to have your registration transferred to a future event. Thank you in advance for your understanding! Welborn Sullivan Meck & Tooley, P.C. is a team of full-service attorneys who provide our clients with specialized counsel to address legal, regulatory and business challenges. We have the good fortune of representing clients who are among the best and brightest in the energy and natural resources sector. This experience has given us a deep expertise that translates into other areas of law including litigation, corporate law, acquisitions & divestitures, employment, estate planning, environmental and real estate to name a few. Our attorneys in Denver and Casper are leaders and creative problem-solvers with keen insight into the complexities of both law and land. The WSMT attorney you hire is the attorney who works for you, and our partners remain fully involved and available. From multinational corporations to entrepreneurial individuals, our clients recognize that the Law of the Land endures in the spirit and integrity of our outstanding team.